So, yeah, about that weekend blog post that clearly wasn’t posted on the weekend… sorry, got busy. Anyway, first of all, starting next week and for the thext 5 weeks (that’ll help me catch up after two comic book shows almost back to back and putting books together) I’ll be updating the very last story from Volume 3 that were previously only updated in black and white now in full color. Having to put the book together kinda forced me to it. 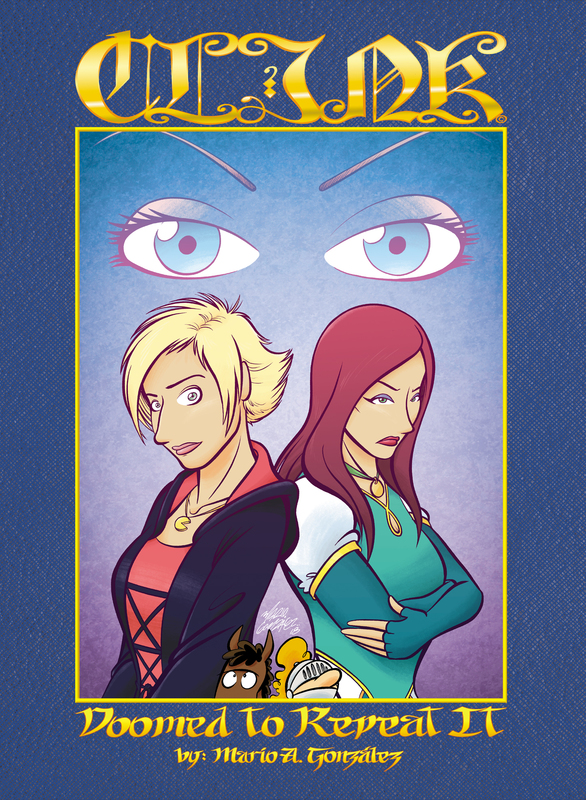 Speaking of Volume 3: Doomed to Repeat It, here’s how the cover came out! The book is now available! If you’re interested, I have some copies with me I can sign and ship to you. It’s 19$ (with shipping included). I’m trying to figure out a shop and having all the books available in an easier to purchase fashion, but that’s something I gotta figure out in the next few months. 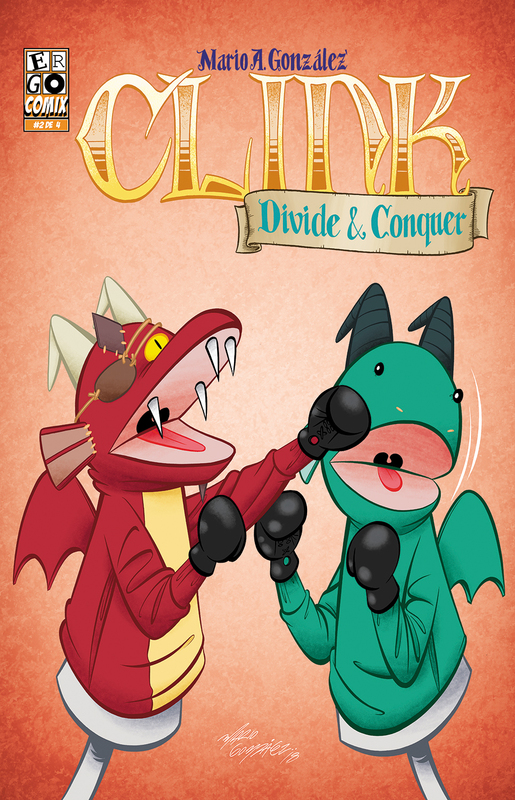 Also, here’s the cover for Divide and Conquer #2. Also available if you’re interested. this one is way easier to get printed as I basically do it myself. Just 5$ (with shipping already included). And that’s about it for now. there’s more Clink coming up as I’m already into issue 3 of D&C and there’s something extra being done behind the scenes, especially for my Spanish speaking readers. PS: Be sure to follow my Twitter or specially my Instagram, as I post teases and more current updates there. Or join my Patreon where everything is 10 weeks ahead of schedule.